Google announced the launch of Hummingbird Update in September 2013. The announcement coincided with reports indicating that the new update would have a bearing on close to 90 percent of all search results. Every day, Google handles close to 3.5 billion searches. Therefore, 90 percent of this total is quite remarkable. The update was the most ambitious of all the changes that Google had undertaken in its algorithms since 2001. However, a close look at Hummingbird indicates that it is more than just an update. In fact, it is safe to say that Hummingbird is a complete departure from what many have come to expect from Google’s algorithm updates. 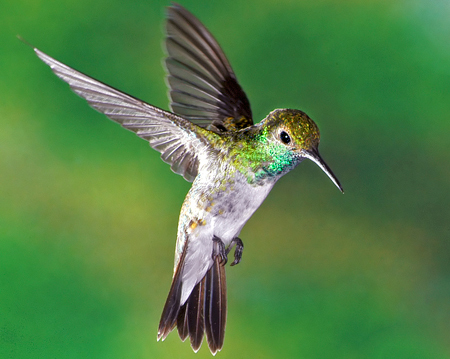 Google’s Hummingbird Update focuses on contextual relevance of all search results. It places the search queries and the accompanying results in context. It looks at the bigger picture. The Hummingbird endeavors to make computers clever than ever before. It gives computers the ability to think about the intention that the user has in conducting a search for some particular content. With Hummingbird, the focus has changed from keywords to the user’s intention. After determining the user’s intention in conducting the search for specific information, the algorithm would then furnish him with all the relevant results. The Hummingbird Update makes use of a concept called semantic search, which is very different from semantic web. Hummingbird has made it necessary for Google to develop the knowledge graph. For that reason, with Hummingbird, it is easier for the SEO marketers to find information regarding the total number of searches that take place through Google on a daily basis. This information is pertinent to the success of any campaign or strategy that the SEO marketers might have developed. In the past, marketers had to rely on SERP to find such information. SERP is not only slow, but also quite irritating. Hummingbird has changed all that. Hummingbird Update has made searches not only easier, but also more intuitive and quicker. In fact, the search results are not vague like they were in the past. Under Hummingbird, the search results focus on providing the user with the accurate answer. The search query might contain some keywords. However, the results will focus more on the provision of an accurate answer rather than on the keywords. Hummingbird understands that users are more interested in answers to the search queries that they type on the search engine. To enjoy the benefits of Hummingbird on SEO, diversifying the length of the content is a critical issue. Visual content is critical for the enjoyment of Hummingbird Update on SEO. Infographics, videos, charts, graphs and other visual elements have become central to the success of any SEO or SEM strategy. The use of language that is appropriate to the topic in question is mandatory for any business that wants to enjoy success in SEO. Hummingbird has focused on semantics more than any other Google algorithm update. Therefore, the importance of implementing schema markup or microdata is no longer an option, but mandatory. With the advent of the Internet of Things, Hummingbird will continue playing a crucial role in the field of SEO.